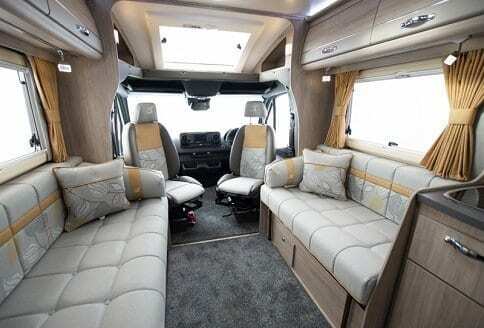 In fact, the Auto-Sleeper Burford Duo 2019 model, has to be one of the best luxury Auto-Sleeper motorhomes. So, with layouts that anyone could wish for. So, let’s start with that wow factor that kicks in the moment you step into the motorhome. Also, the wonderful front lounge and kitchen area. So, this has plenty of space and there is a good sized fridge freezer. In addition, with plenty of room to relax and dine in. The lounge seating in the Auto-Sleeper Burford Duo 2019 model, converts into a double bed. This is easy to convert and provides an alternative sleeping area, if you need it. When you leave the kitchen area, through the main internal door. Then you find a real surprise as this leads to a separate bedroom area. With a great layout, comprising of two single beds, either side and walk way to the full end bathroom. The luxury of the trim and the fittings in the Auto-Sleeper Burford Duo 2019 model, really does stand out. Are you looking to buy an Auto-Sleeper Mercedes Benz Burford Model? If you need any help please feel free to contact motorhomes campervans. We are “happy to help anyone anytime”. We have loads of information to help you find Auto-Sleeper motorhome dealers or answer a questions. 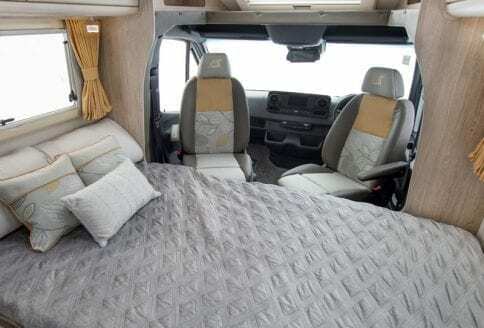 The Auto-Sleeper Burford Duo 2019 model provides typically, Auto-Sleeper motorhomes designs. The layout addS that touch of class. This has room in the lounge and kitchen area, to relax and enjoy preparing that snack or a full meal. There is plenty of room to entertain or sit when feeling like a private moment? Open the dividing door from the kitchen area and enter the bedroom area. Here you will find the two single beds. Just select the one you like and take a snooze. Also, if you feel like a change and quick shower? Now, the real feature is at the end of the motorhome. Enter the bathroom area, at the rear of the Burford’s they are full width. This is an ideal space to change in. In addition, the privacy provided by the dividing doors, that make the difference. 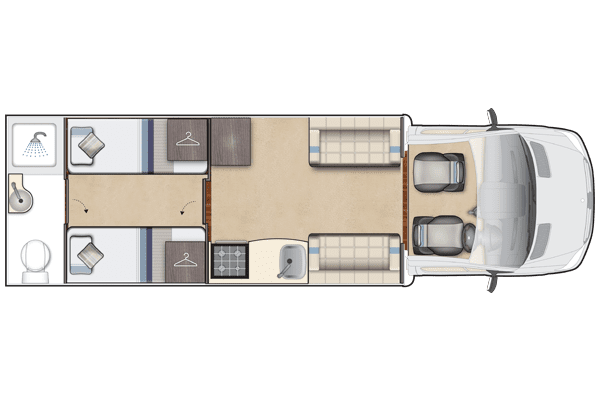 Luxury specification, is all around in the Auto-Sleeper Burford Duo 2019 model! 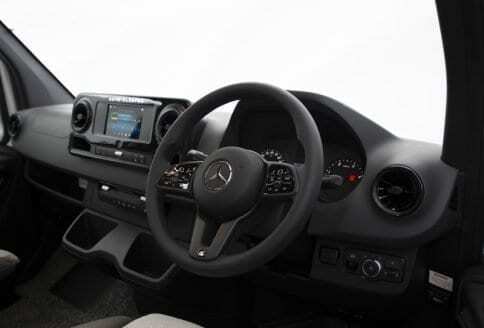 The Auto-Sleeper Burford Duo coachbuilt, has been very well built on the Mercedes-Benz chassis. Autosleeper Mercedes Benz power is a given. By using the turbo diesel 163 bhp Euro V engine. In addition, with the optional upgrade to the V6 Euro 190 bhp V engine. The Auto-Sleeper Burford Duo 2019 model has grade 3 thermally insulation. Also, with the full Mercedes-Benz driving aid package. Enhancing winter use, with the ESP with active skid control. In addition, to the ABS braking and optional day running lights. The gearbox is fully automatic with an optional 7-speed gearbox. Also, the cruise control, makes the Auto-Sleeper Burford Duo 2019, an enjoyable experience to drive. 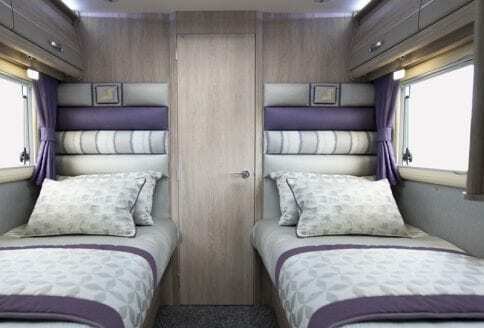 In fact, stylish in appearance, with excellent airy interiors and really quality fittings. Also, anyone in the market for a luxury Mercedes Benz coachbuilt motorhome, consider making an appointment. Take an in depth look and ask an Auto-Sleeper dealer for a test drive in one right away. Near Side Single Beds: 1860 780 mm 6'01"2'07"
Offside Single Beds: 1860 780 mm 6'01" 2'07"